The setting of the show reminds me of The Winter Sea by Susanna Kearsley, with its angry seaside bluffs and air of passionate angst that runs as an undercurrent through much of the story. I cannot speak to the book yet, as I'm only about a chapter or two in, but I will tell you this: as with most books (except Outlander, of course!) small details may be overlooked in the TV show and you'll have a lot of fun digging them up in the books. Already reading/watching? Let me know your thoughts in the comments!! Hi Carol! I've watched those first two Poldark episodes and I'm really enjoying it (in a totally different, non-obsessive way from Outlander) I've been debating with myself about starting on the book - I'll be interested in hearing what you think as you get farther into it. GREAT POINT Cary!! It's all so downtrodden...but not evil! Love it and getting ready to watch Ep. 2. Also, on my way to the beach tomorrow and book on que. Hi Carol is MOP chat going to be tonight? Carol and I will both be there! I had to miss it again ;( And I miss you guys and chatting with everyone so much (even when I don't have much to contribute, LOL!) Cutting hay here on the farm between rains = busy times! I have already watched it on BBC. It is a great series and Aidan Turner is just fantastic as Poldark, as Eleanor Tomlin is as Demelza. You have much to look forward to. At about the same time I read the first four books; Ross, Demelza, Jeremy and Warleggan. They are difficult to put down and I had to force myself not to download the following books, which meant I would be reading nothing else. But they are just waiting for an opening in my reading schedule! You are so lucky to still have the viewing and reading to look forward to. 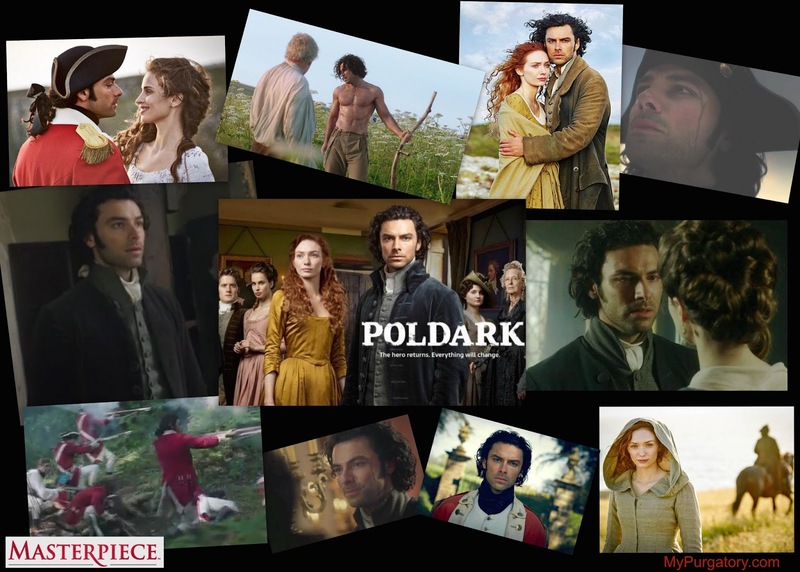 I love Poldark! Saw the original series in the seventies. The current production is fantastic. Ross is my Jamie replacement. I cannot wait til the series is back, you do not realize how wonderful every part of Outlander is until you watch other shows. I am going to read the Poldark books after I watch each season. Are they truer to the books than Outlander is Carol? Miss you both hope your summer is going great!! Just finished Poldark on DVD. Ending for season intense! Now I have to read books. There are extra scenes on the DVD that help the story. Info for you - They say the series 1 is from 1st and 2nd books and next season will pick up with book 3, Jeremy Poldark. The original Robin Ellis is Reverend Halse in the new Poldark - the guy in the big wig at the trial of Jimmy. see http://robin-ellis.net/ It is really interesting watching the him banter with Aiden once you know that. Yes, it is not Outlander, but great fill in with Outlander (and Turn) between seasons. First off....can I just say that I LOVE you guys!? Your video recaps are hilarious. 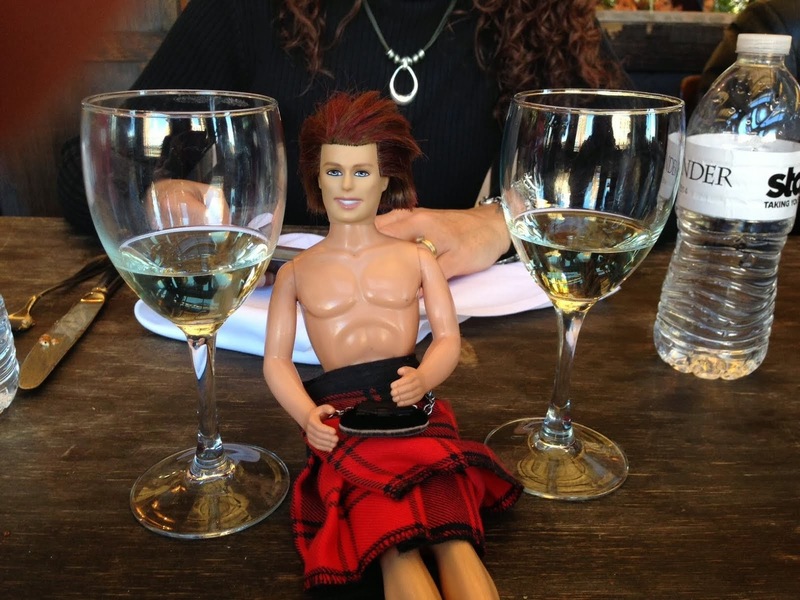 My Droughtlander is being eased a bit by Poldark, for sure. I've just finished the first book, and on to the next. I love the characters, the plot twists and stubborn English pride of keeping up appearances and reputations no matter how degraded their own lives might be. (I just want to slap some of these men!) But the countryside and gritty lifestyle makes me hungry for Scotland. Where's Jamie? *sigh*. Poldark is my 18th Century fix for now. Barb! I still have to do this! Thanks for the suggestion!!! thru 1790 or so. Poldark Starts in 1780 or so. There are duplications of plots, characters, even pets. Poldark book 8 even mentions a Red headed Scotsman named FRASER who was a smuggler. Poldark was written years before Outlander. Did D. Gabaldon read Poldark?